The enormous food and drink pavilion at the Devon County Show held on May 18-20 at Westpoint, Exeter is the largest yet. Measuring a colossal 105 metres by 25 metres, it is 10 metres longer than last year and will house even more artisan producers, a seating area and a cookery demonstration theatre. For the first time artisanal cheese producers have been invited to join the dairy section in recognition of the growing interest in cheese made using age-old methods and high quality milk from local farms. Oakdown Farm at Trusham, in the Teign Valley is home to Max Pillar and his wife Jacie. Together they farm a herd of free range goats and use their raw milk to produce a handmade, un-pressed goat cheese. 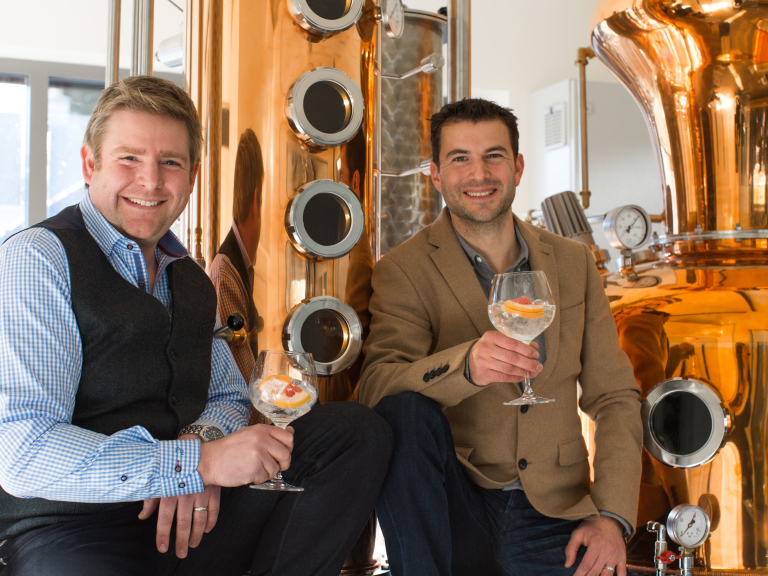 A new addition to the impressive line-up of drink producers is Salcombe Gin which, though less than a year old, has already received a Gold in the prestigious World Drinks Awards. Inspired by the history of the Salcombe 'Fruiters', locally built sailing vessels which imported citrus fruits and spices in the 19th century, Salcombe Distilling Company has created a hand distilled gin ‘using Dartmoor water and a citrus edge’. Howard Davies, co-founder, said: “We are thrilled to be exhibiting at The Devon County Show for the first time and are looking forward to giving visitors the opportunity to sample Salcombe Gin and find out more about our Distillery and Gin School. 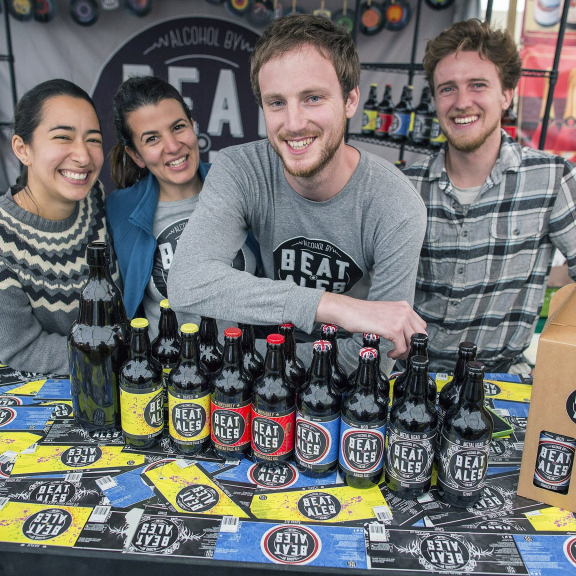 Young brewer Jack Pike of Beat Ales celebrates the diversity of his two greatest passions – beer and music – in his range of hoppy ales and is returning to the Show for the second time. “It was April last year that I started Beat Ales Brewery, so the Devon County Show was our first big opportunity to get our beers out into the big wide world. “Although intense, the experience was vital in that it provided a platform of getting our name into people's consciousness. It was great interacting with customers directly and we also got some decent business supplying into pubs on the back of it. A host of acclaimed Devon chefs will be cooking up some culinary masterpieces in the demonstration theatre including Devon’s very own Michelin Star super chef, Michael Caines, The Brend Hotel’s team led by Dez Turland and Daniel Gavrilidis, from The Pig, Combe near Honiton, will be at the Show for the first time this year.